Lincoln Center is a lovely complex. Architecturally important buildings, the home of the Metropolitan Opera, the New York City Ballet, the New York City Philharmonic and Julliard School. But today a huge procession of purple-clad men slowly walk across the complex, complete with steady percussion and a horn section. What gives? 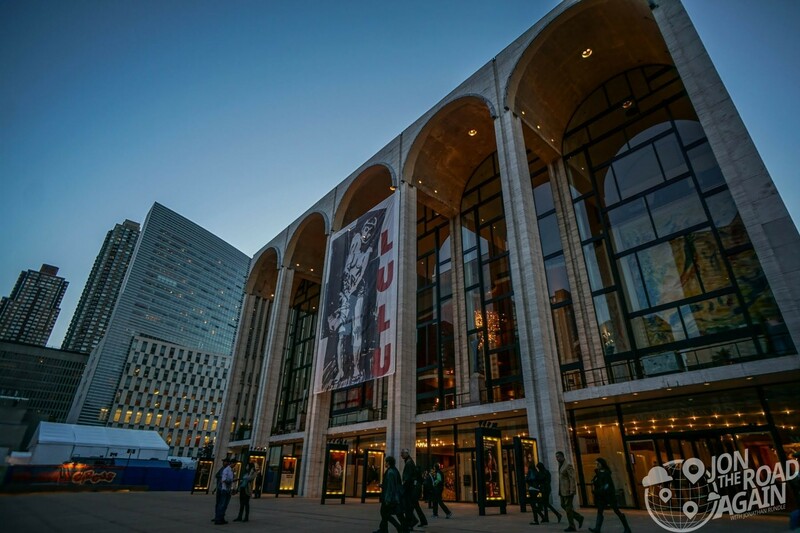 Lincoln Center was built as an urban renewal project in the late 1950’s and they’ve been building and renovating ever since. Recently, the most popular performance halls have all been renamed for the highest bidders in a fundraising scheme. You’ll notice the halls now bear the names of billionaires David Geffen and David Koch. 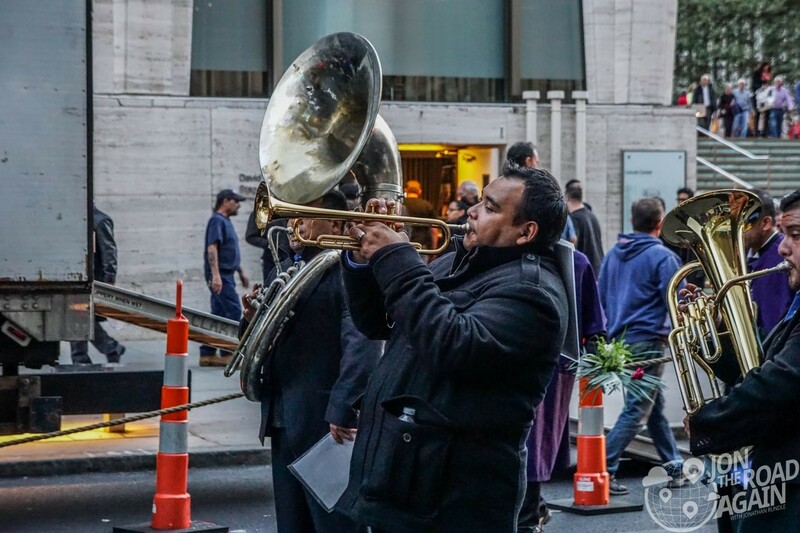 Meanwhile, the sound of sad horns and slow drum beats makes it sound like a funeral procession is near – and judging by the strong smell of incense, it’s a Catholic one! 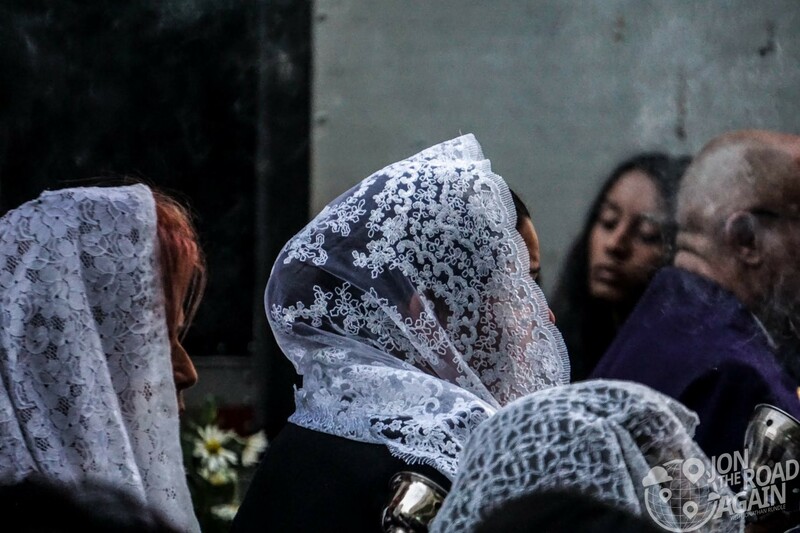 But no, no one died (recently, anyway) – it is in fact the Lord of Miracles feast day. Until this, I’d never heard of it either. As it turns out, this is one of the largest processions in the world. 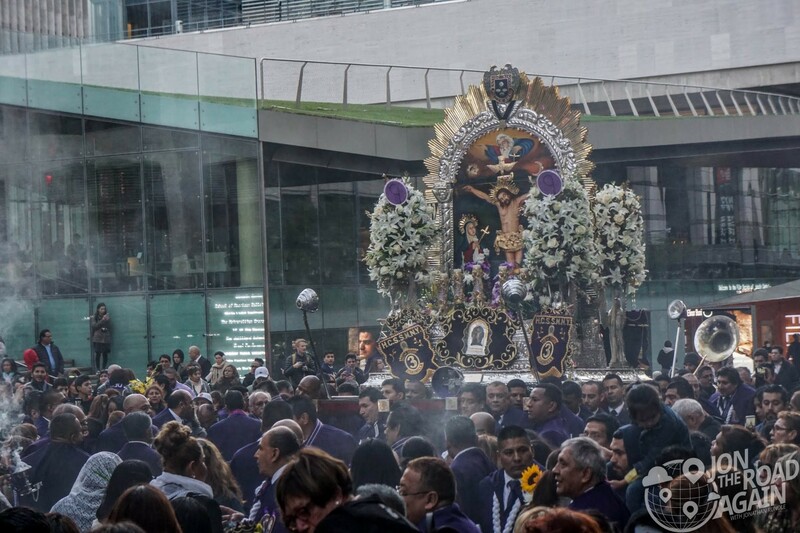 Originating in Lima, Peru, this procession and feast is celebrated at the end of October. The Lord of Miracles is actually a mural in Lima that survived an earthquake during the 17th century. After this miraculous event, brotherhoods were formed to honor the mural and a feast day was created. They’ve been doing this for almost 400 years. 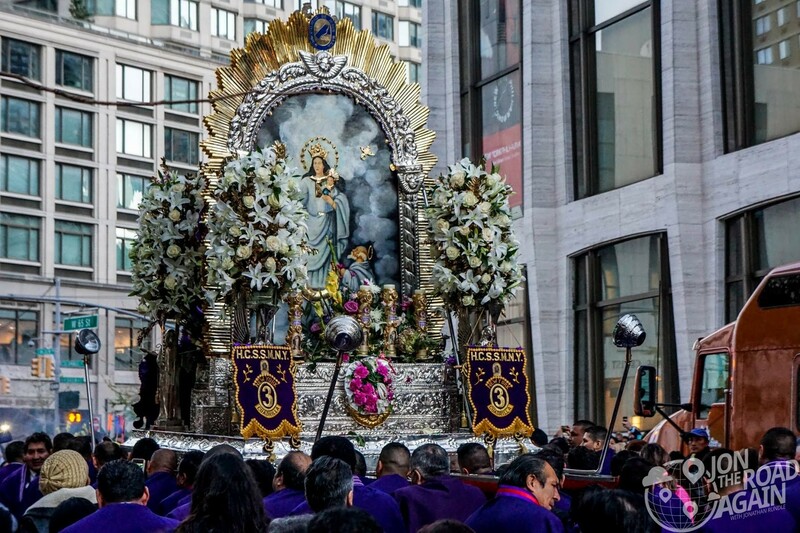 The men clad in purple are the Hermandad del Señor de Los Milagros – the “Lord of Miracles Brotherhood.” As best I can tell, they’re like a Knights of Columbus-style organization. At least that’s what my research and a heavy dose of Google Translate tells me.